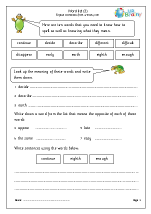 In the new English Programme of Study there are two word lists, one for years 3 and 4 and one for years 5 and 6. 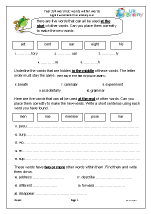 The lists are a combination of words children frequently use in their writing and words which they often misspell. 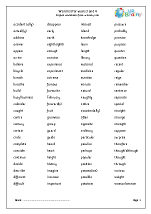 There are 100 words in each list and the lists are a statutory teaching requirement. 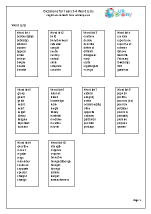 Some are quite challenging, but there are two years in which to cover them all. 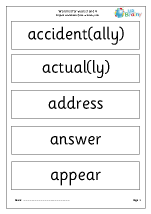 This is a radical introduction into the English curriculum and no doubt there will be many arguments as to the validity of these 100 words. 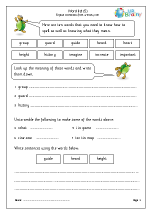 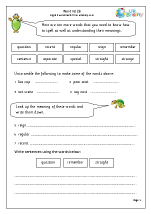 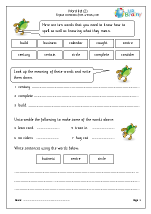 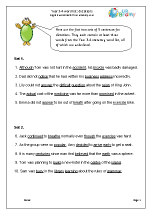 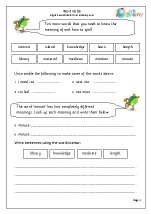 We have produced some excellent work using these 100 words for years 3 and 4, with five sets of worksheets, each covering ten words. 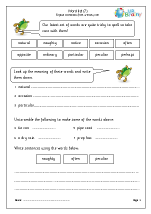 Each set contains four or five pages of mixed activities, including dictionary work, sentence writing, crosswords, anagrams, puzzles etc.